Midland Pacific Homes has been the Central Coast’s premier home builder for over 40 years. We have built some of the area’s most distinguished neighborhoods that stand the test of time and have earned us a reputation for delivering a quality home in an efficient manner. From Tuscan style dream homes to Craftsman-influenced family homes, Midland Pacific Homes has made its mark as the #1 builder in San Luis Obispo County. Based in Atascadero, Midland Pacific Building Corporation has a full service staff that encompasses all aspects of real estate development from planning to sales, with Dennis Moresco serving as the CEO and President and his son Jim serving as Chief Operations Officer. Dennis Moresco, founder of Midland Pacific Building Corporation, started out working for his father swinging a hammer in the Bay Area. After graduating from Cal Poly San Luis Obispo in 1975 with a degree in architecture, he and his wife, Patty, decided to settle on the Central Coast. With a $10,000 loan from his father, Dennis built their very first home in Los Osos. His friends soon took notice and asked him to build homes for them. Within a year and a half, Dennis was deeply involved with his business as a general contractor. A few years later he became a licensed architect. As the business grew, Dennis brought in partners and branched into architecture, planning, and real estate development. Through the years the company built everything from single family homes to medical offices and banks. As the economy changed so did the business, growing, shrinking, and growing again, but never sacrificing the quality craftsmanship that has become Midland Pacific Home’s hallmark. Dennis’s partners eventually retired but Midland Pacific continued on under Dennis’s direction. In 2008 Jim Moresco, Dennis’s son, joined the company during the onset of the Great Recession. Jim assumed a number of different roles in the company to help it through the downturn while learning about the business and the housing industry as a whole and, most importantly, how to continue to deliver the quality home that Midland Pacific is known for. Dennis has served as President of both The Home Building Industry Association of the Central Coast and The California Building Industry Association. He also served as the President of the Pacific Coast Builder’s Conference, was a founding member and served on the Board of Directors of the Home Construction Insurance Company (HCIC), and in 2005 was inducted into the California Building Industry’s Hall of Fame. Your new home is being built right now. See the floor plans, photos, and more today! In 2005, Dennis was honored to be inducted into the California Building Industry’s Hall of Fame – an honor he holds in high regard. Watch the video or continue reading more about Midland Pacific Homes below. 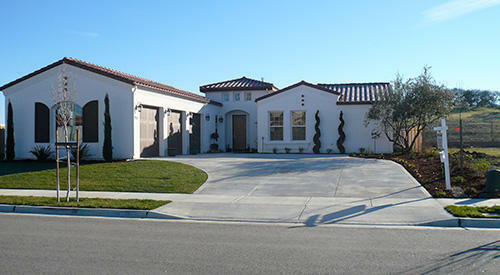 132 distinctively styled luxury homes in Paso Robles create an ambiance that is elegant and inviting. 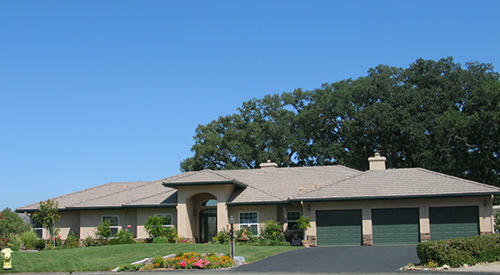 A gated community consisted of 88 homes situated around 2 breathtaking lakes in Atascadero. 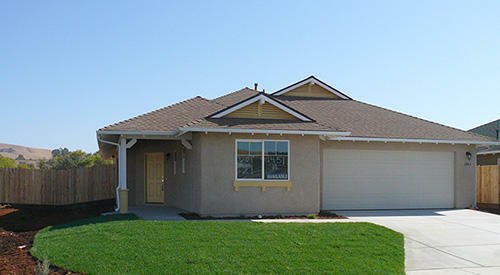 A peaceful neighborhood consisting of 70 elegant homes situated around a premiere park in Atascadero. 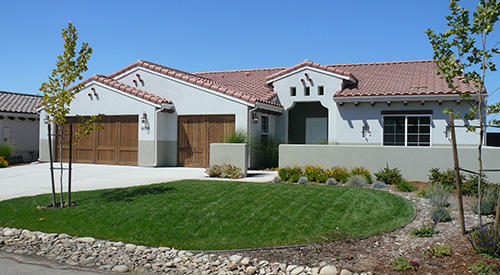 91 homes in San Miguel that offer comfortable style and design and a perfect place to call home. Your new home is being built right now. See the floor plans, photos, and more right now!